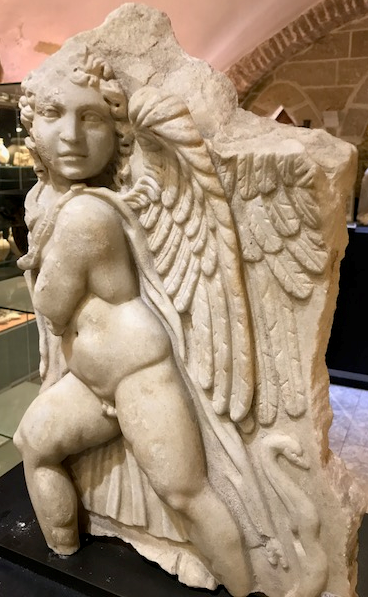 Unparalleled Opportunity – A long-standing Israel based antiquities business is making its collections available for purchase – preferably on a wholesale, single transaction basis. 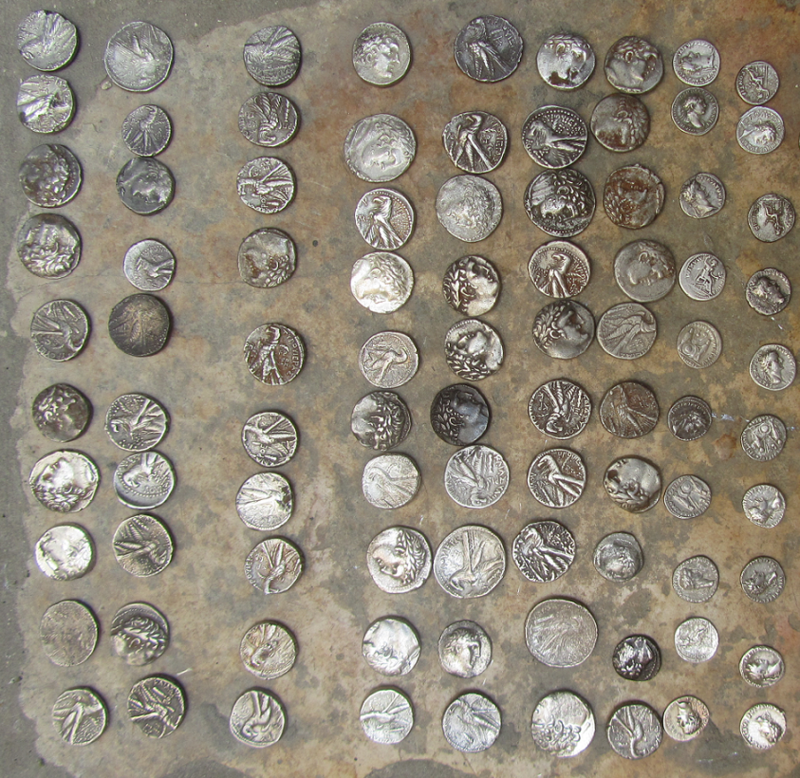 Business collection – approximately 5,000 items ranging from ancient coins to pottery and glassware. Personal collection – another 2,000+/- items with focus on fine pottery of the Middle East. Added collection – signature antiquities of unparalleled value. The 5,000+/- items in this collection include glassware, pottery, scarabs, tools, weapons, jewelry, and coins (gold, silver, bronze). The collection has been inventoried to address requirements of the Israel Antiquities Authority. Certificates of authenticity will be provided together with assistance with export permit arrangements for items to be shipped outside of Israel. Over many decades, the Owner/Seller has built a substantial personal collection of approximately 2,000 items. Primarily pottery, just a portion of which is depicted here. 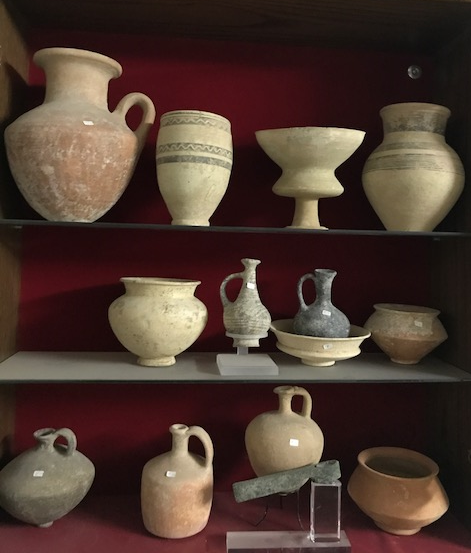 Due to wide diversity of provenance – in terms of culture and era of manufacture represented – the Seller has agreed to make available the services of a well-recognized archaeologist of Palestine to assist with further research and documentation. This generous offer of assistance is available across all three collections. The story of the Levant is carried via myriad strands of history – a web of cultures, sacred and profane. Being made available is an added collection representing the finest of Greco-Roman and Judaic civilizations, from the Greek Eros to a Roman stone eagle – from the head to the foot of Middle Eastern history. 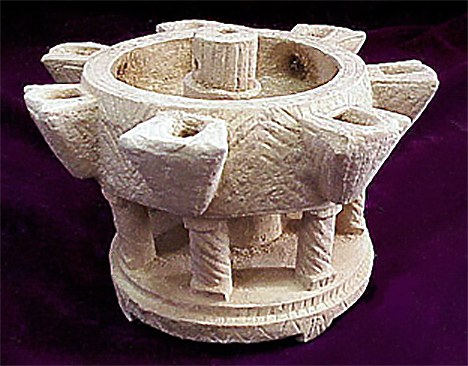 And anchoring it all is the voice of an age-long Judaic tradition – perhaps best exemplified by a circular Temple menorah of the Herodian era. All are available, preferably as a combined collection. The legacy of a time unlike any other. The Seller’s collections are available at a cash price as may be mutually agreed between the parties. Requested is a lump sum payment or a down-payment and installments timed to coincide with merchandise shipments. Escrowed funds will be handled in the U.S. or as otherwise agreed through an independent third party pursuant to instructions mutually agreed by the purchaser, Seller, and Seller’s Representative (as conducted in conjunction with http://www.jesustheheresy.com). The Seller has authorized its Representative to coordinate with contacts made toward the sale of its full remaining antiquities inventory. Any sale made via this representation will include a transaction fee as a portion of the gross sales amount when the transaction is finalized. The purchase price will include the transaction fee as well as shipping cost. Shipping including offsets for any damage is the Seller’s responsibility. The Seller will provide Certificates of Authenticity with each purchase and will assist with export permit arrangements for all items to be shipped outside of Israel. Availability of merchandise may be subject to approval by the Israeli government. The Seller’s Representative (including http://www.jesustheheresy.com) makes no representations regarding merchandise provenance, Seller capacity to deliver, or legal requirements; all due diligence is the responsibility of the purchaser. If any party is interested in pursuing this matter further, please contact via email: theauthor@jesustheheresy.com. All inquiries are treated on a confidential basis unless otherwise agreed. As the Seller’s Representative, we are prepared to coordinate arrangements with the Seller as for pricing and other information, submittal and review of a purchase proposal. Electronic files with more extensive photos of the merchandise represented may also be made available on request. Whether or not you represent a qualified purchaser, your interest in preserving this legacy for the Owner/Seller and for the peoples of the Levant is most appreciated. To return to our home page, click: http://www.jesustheheresy.com.